If you suffer from sleep problems, you’re not alone. The National Institute of Neurological Disorders and Stroke has found that roughly 60 million Americans have chronic sleep disorders – 40 million with chronic sleep problems and 20 million with occasional sleep problems. 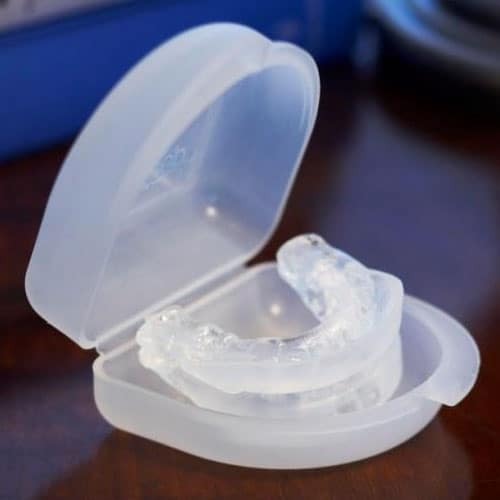 There is a huge number of factors that can affect sleep, from bad diet to a stressful work life or even underlying health conditions like sleep apnea. Controlling sleep problems and restlessness is easier said than done. Typically over-the-counter or prescription sleep medications can help but some people may prefer more natural treatment. There are a few different herbal sleep aids that can work very effectively for many individuals. If you’ve been having trouble sleeping but don’t want to go straight to pharmaceuticals, here are the 5 best herbal sleep aids to try. Melatonin is actually a hormone your body already produces via the pineal gland. This hormone is released when it gets dark and prepares your body for sleep. When melatonin is present in the blood, it remains for roughly 12 hours at varying levels. Once you’re exposed to light again, whether it’s the sun or artificial light, melatonin levels dissipate and being fairly undetectable until night falls again. When it gets dark and you start feeling a little less alert, your reflexes are slowed and sleep starts feeling appealing you’re experiencing the effects of melatonin. Melatonin supplements, sometimes combined with other sleep-inducing herbs, work by making your body more open to the idea of sleep. Some individuals are very sensitive to melatonin and can fall asleep within 20 or 30 minutes of taking a dose. Others may find that melatonin doesn’t actually make them fall asleep but rather helps them relax enough that they can more easily slip into sleep. 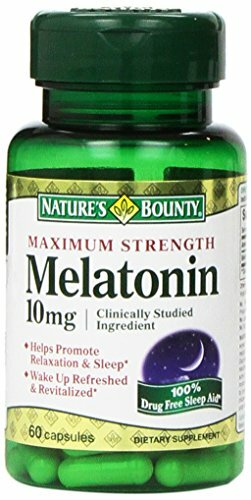 You find melatonin available in capsules or liquid form. The capsules are easier to take and may be preferred by those who plan on taking melatonin while traveling or otherwise away from home. A high-quality liquid melatonin will likely work more quickly, especially when placed under the tongue to “soak in” before being swallowed. Valerian is another very popular herbal sleep aid that has been shown to be very effective for many people. Valerian is actually a flowering perennial native to Europe and some parts of Asia, though it can now be found throughout North America. It’s flowers are pink or white and have a very distinctive floral scent, which made it popular for perfume in the 16th century. However, it is root of the Valerian plant that helps with sleep. In contrast to its sweet smelling flowers, the Valerian root has quite a strong smell that wouldn’t be described as pleasant. Once the root is dried it is safe to consume as a sleep aid. 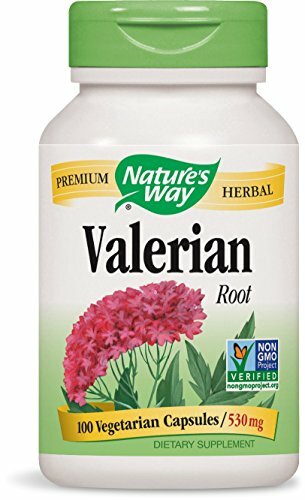 You can find Valerian from herbal shops as pure dried roots or in the vitamin and supplement aisle of stores in capsule form. Similarly to melatonin and other herbal sleep aids, Valerian supplements may not put you to sleep right away but instead work towards relaxing your body so you can fall asleep more easily. Aside from its purpose as a sleep aid, Valerian also has a few other benefits going for it. 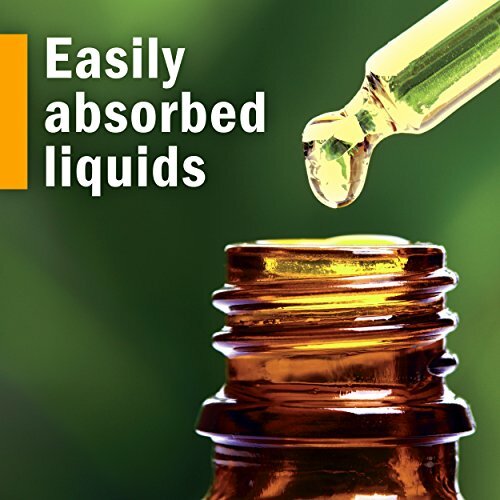 Its overall sedating properties mean it’s useful for those suffering from anxiety disorders. A small dose can also be taken prior to a stressful event, such as flying on an airplane. If Valerian root on its own doesn’t seem to help with actual sleep, you may want to find a Valerian blend capsule that includes other herbs like lemon balm. Kava, also called Kava Kava or Kava Root, is a surprisingly powerful sleep aid with an interesting history. Kava Kava is a ceremonial drink that has been consumed during special events on the Pacific Islands for centuries. It is treated much like alcohol would be when celebrating. Traditional Kava is made from the roots of the plants. The root is either chewed or ground into thick pulp and mixed with cold water. This drink has strong relaxing properties, while also making the mind feel content and happy. Due to it’s ability to improve mood and general mental well-being Kava is useful for treating those that have anxiety, panic and other nervous disorders. You can find Kava tea in some health stores or buy the dried roots to make the drink yourself. Typically you will need to order this product from an online source. Despite all of the advantages of drinking Kava, there is the potential for liver damage. There are conflicting reports about whether Kava is responsible for the few cases of liver toxicity that have come to light as this drink has been enjoyed for hundreds of years without apparent health damage. Still, it is recommended to not drink Kava in excess. Many natural health authorities believe this drink should be treated just as you could an alcoholic drink. Consuming one drink before bed if you’ve having problems falling asleep if safe, but do not drink Kava as if it were a typical herbal tea. Mugwort isn’t as well-known as the other herbal sleep aids on this list, but it’s still worth considering if you haven’t had much luck with other options. Mugwort is plant that can be found growing wild throughout North America, Northern Europe and Asia. It smells strongly of sage and has long been used as a tonic for medicinal reasons. Mugwort has been shown to give a sense of calmness and relaxation, making sleep easier to achieve. It is useful for treating sleep issues, insomnia and general restlessness. Mugwort also helps calm the stomach, is beneficial for the liver and is known for improving female reproductive health as well. Another reason people drink Mugwort is for improving dream quality. You can drink Mugwort like any other tea, either by making your own from dried Mugwort or buying prepackaged tea packets. One of the most widely used herbal sleep aids is chamomile. 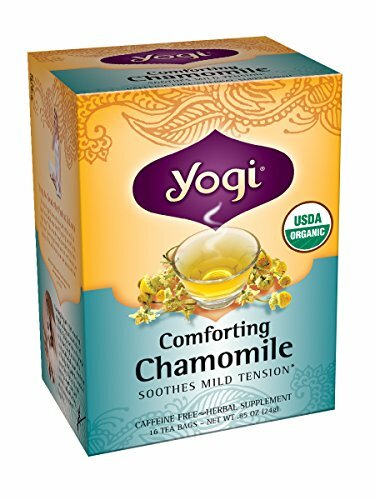 You’ve probably enjoyed Chamomile tea in the past and felt its relaxing properties. The Chamomile plant is a daisy-like flower that has long been dried and ground down for ingestion. Unlike other herbs that use the root, the actual Chamomile blossom can be consumed. The major active component in Chamomile that makes is so relaxing is Bisabolol. Bisabolol is microbial in nature and helps calm the brain when anxiety, panic or aggression is being experienced. Another factor is Apigenin, a type of flavonoid that also helps with relaxation. Chamomile is also beneficial for other health concerns, like digestive upset, migraines, cramps or stomach ulcers. You can find Chamomile tea in any grocery store but making your own at home is easy and more effective. All you need to do is buy high-quality, organic dried Chamomile blossoms made for tea. Roughly 2 to 4 tablespoons of hard-packed dried blossoms is all you need for a 10 oz cup of tea. Steep for 5 minutes and enjoy. Many find that those experiencing long-term sleep issues can benefit from drinking Chamomile 3 or 4 times a day, preferably later in the day. It is best to not use any sweeteners if you’re trying to sleep, but a small amount of honey is acceptable. It is highly recommended you consult your physician before starting any type of new supplement, even a natural herbal option. This is especially important if you’ve just recently developed a sleep disorder, restlessness or insomnia as these could be symptoms of a larger problem. If you are already on medication for sleep, you should also speak with your doctor before adding one of these herbal supplements as there could be negative side effects from mixing sleep aids. Zach is a mattress salesman by day, sleep specialist by night. Tired of just sharing his knowledge with a small audience in retail - and not having enough money to open a mattress store on his own - Zach turned online to try to create the premier community for sleep products, advice, and solutions online. PureSleep Review – Does PureSleep Really Work? Snore Solution vs. Zquiet: Which Anti-Snore Device is Better?